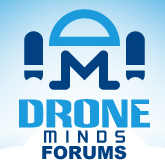 Discussion in 'Maytech Drones and Drone Parts and Spares' started by Maytech.cn, Sep 30, 2015. The new 28x9.2inch carbon propellers are improved! They are filled with wooden materials with CNC engraving. Weight: 240g/pair, even lighter than the normal propellers. The Max. thrust is up to 26KG in the extreme condition. All the propellers have been tested with the balance on the motors. The hole size of propellers can be customized, according to your motors. Wow, they are very large. Yes, they are designed for the Large UAV system. The 30inch carbon propellers are available as well.